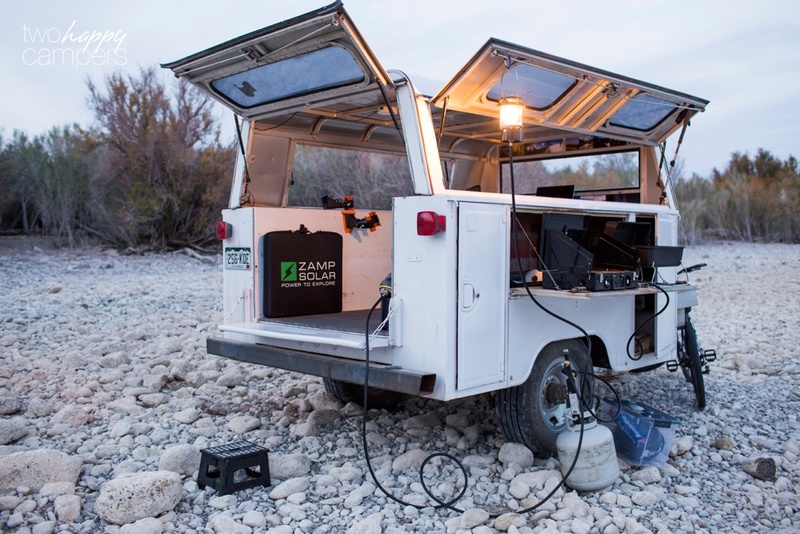 Last year we added to our solar supply with a portable folding 80 watt Zamp Solar panel that we got from Chris at Rocky Mountain Four Wheel Campers in Denver. Our solar setup now includes the Zamp panel (seen above right), our DIY 120 watt panel that stows beneath the cabover of our camper (seen above left) and our 80 watt panel mounted to the roof of our camper. Having a second movable panel has been an awesome addition to our setup since the bulk of our camping takes place during the shortest days of the winter leaving little sun to make power. In the summer months, when the days are long, the roof-mounted panel is about all we need. However, in the winter, the ability to move panels to point at the sun is key. 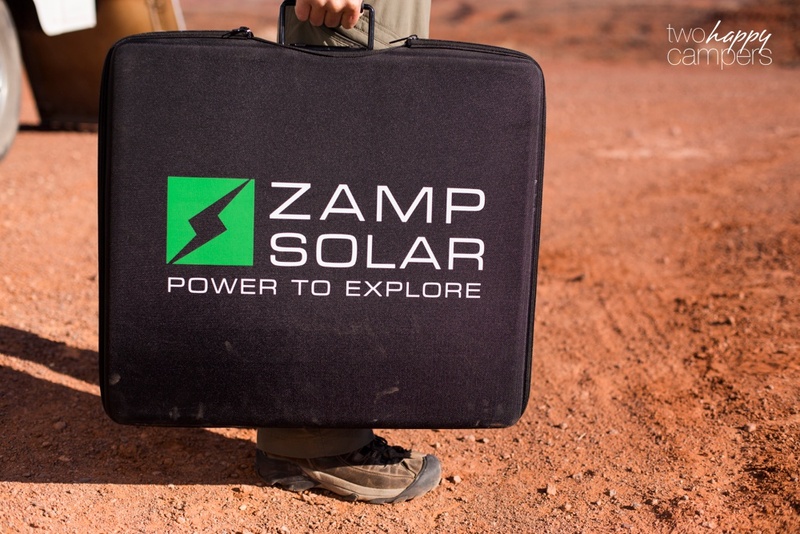 The Zamp panel is super convenient, compact, easy to use and stows easily in our utility trailer. 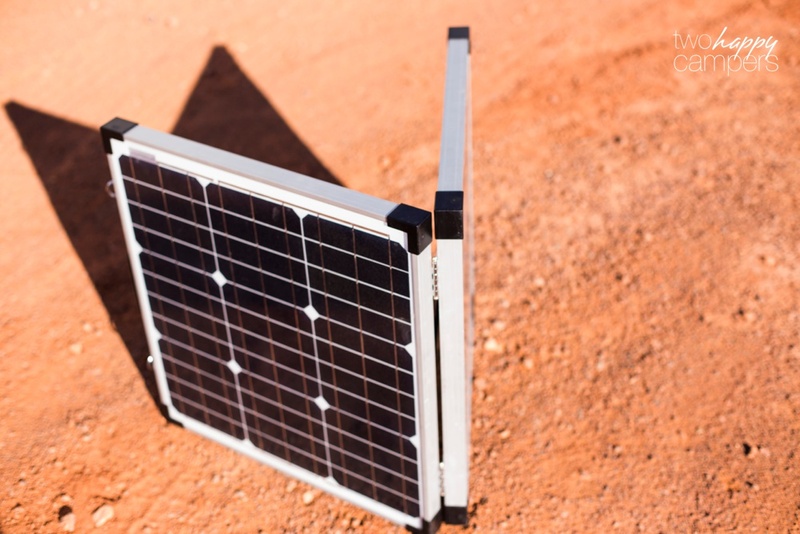 If you’re looking to add solar power to your setup, get in touch with Chris at RMFWC or click here to get one on Amazon. A note to our readers: Some of the links on our website are affiliate links. At no additional cost to you, we will earn a commission if you purchase through those links. We use the products we recommend and only recommend what we find useful and helpful. Hi Greg! Life has been nuts but hopefully I’ll be doing a big catch-up post today. 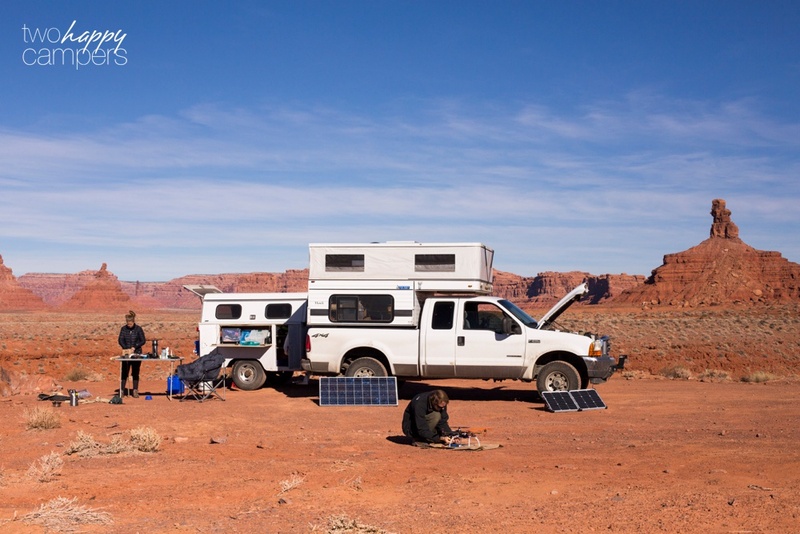 Are you still building out your RV? I was getting worried not hearing from you folks as Greg was. Glad all is well and I appreciate your posting your improvements. They certainly help those of us who love truck camping to explor more ideas. On another noite I owned a 1980 GMC 1 ton worktruck that had the same body yours does if it is a Gruman aluminum one. When I got a new truck in 2002, a GMC [that ended up a bucket of rust] I made the rear into a trailer just like you have. What a great idea and I do at times regret selling it when I retired from construction. Continue to have goor times!! Best to you. Michele, Did you consider a flexible solar panel? Yes, Mark actually just replaced our factory-installed panel on the roof of our FWC with flexible panels. The original FWC panel is now being used as a portable panel that plugs in to the Casita. So far it’s all working great! Michele, can you tell me which brand flexible solar panel you are using? I’m in the process of deciding upon glass panels or flexible for a camper van. There are pros and cons to each. However, I see many disturbingly negative reviews on even the highest rated flexible solar panels. To keep the system lightweight, I would like to go with flexible panels; but not if they are not durable. The typical installation by the company doing my van conversion is to put the panels on the roof. Heat is more of a problem for flexible panels attached directly to the roof. Also, I am thinking that having the ability to position the panels to face the sun is better than having them fixed horizontally to the roof. Here is a link to the portable panels that Mark chose. Haven’t had any issues so far but have only had them for a couple of months now. Good luck with whatever you decide!